Mammoet has formed a strategic partnership with marine equipment owner, Astro Offshore. 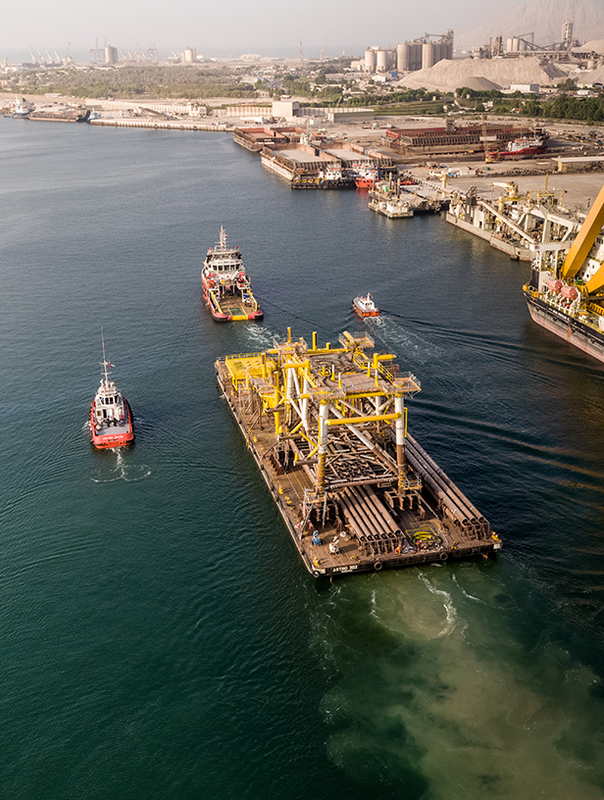 Astro Offshore owns and operates a fleet of offshore support vessels, including a variety of tugs and barges, providing services to oil & gas construction projects throughout the Middle East, Africa and Asia. The deal expands Mammoet’s capacity to provide comprehensive solutions in on- and offshore transport for oil and gas construction projects in the Middle East. Both companies are major players in the transportation market for oversized cargo and are pre-qualified with the main EPC contractors around the globe. “There is no engineered heavy lift and transport specialist in the world that has the extensive and longstanding expertise that Mammoet has. We have been involved in the petrochemical industry for decades and have a proven track record in every service we deliver. Our projects have included: ADNOC’s Shah Gas Project back in 2010, the KNPC Clean Fuel Project, Chevron’s El Segundo Refinery, Saudi Aramco’s Shaybah NGL, Shell’s Pearl Gas-to-Liquid project in Ras Laffan, Jangkrik FPSO, Yamal LNG, Gorgon LNG and the Gudrun platform, to name just a few.” he added. Mark Humphreys, Managing Director of Astro Offshore Pte. Ltd commented: “We are pleased to announce this exciting partnership with Mammoet of which we believe will not only strengthen ties with existing customers, but new ones as well. Whilst harnessing Astro’s and Mammoet’s strengths, we believe the partnership can provide a plethora of ‘door to door’ turnkey transportation solutions. The synergies of both companies will further allow us to provide an unrivalled solution for our customers, leveraging on past projects experiences of executing large transportation jobs within the Middle East and subcontinent. Transportation projects that have been executed by Astro within the Middle East and Subcontinent comprise of D1 Development Project (Essar Projects), Phase-1 of Nasr & Umm Lulu Field Development Projects (Larsen and Toubro), 19 Platform Jackets, (Saipem). Cyber Security, the next global tread.